Doomtown is different from other card games in two major areas. 1. Deckbuilding – There’s a lot of games out there where you can just slot multiple copies of the power cards in your deck. Take MtG for example, if you need lightning bolts, slot 4 of them. If you need counterspells, just put in 4 copies. DTR’s deck restrictions allow you to put in 4 of each suit value, take note, not card title, but suit value. So, when you’re building your 52 card deck, you can only have 4 of a particular suit value (let’s say 8 of Clubs). This is where it will get a little interesting. As more expansions are released, there will be more types of cards that will share the same suit value. In this base set, at the 8 of clubs, there are three cards sharing that value. Bounty Hunter, Reserves and Rumors are all powerful cards, but with a deck building limit of 4 of any suit value, which one makes it into your deck? 2. Shootouts – How you build your decks will also determine how well you will do in shootouts. Now, shootouts are a critical part of the game and based on what your card decisions, it will be easy to tell if you will win a shootout or not. As much as you can, you would like to have a good mix of Studs and Draws in your deck to enable you to hit your poker hands consistently. As mentioned, the game is based on the Love Letter mechanics. It is simple enough to learn, and by the time you play your 4th or 5th game, you would already know what card is in the relic pile and what card is in your opponents’ hands. The value of this game is slightly below Love Letter IF you will play it as a standalone. I think the best thing going for Lost Legacy is the fact that it can be combined with 5 other Lost Legacy expansions to give it more depth that Love Letter will not be able to provide. As you add more expansions, the game definitely gets better. Compared to the regular products that L5R has out, Honor and Treachery features a full sized, step-by-step guide on how the decks should be played to give you a better idea and feel for the game play. The decks provided in the set are designed to be playable right out of the gates without any customization. It features the twin clans, Phoenix (keeper of knowledge) and the Scorpion (keeper of secrets). I picked up the game as a chance that me and my brother could play it (he finds L5R rules too complex). So we crack open the box, and are surprised to see six decks. We take about five minutes to read through the rules and begin playing. Getting in the game is simple enough, thanks to the rules being fairly straight-forward. The challenge lies in the tactics that you will employ and the decisions that you will be making. A lot of other players have already mentioned that this game is a cross between a TCG and minis, and I believe that they’ve nailed this on the head. I’ve already purchased the master set and will be looking forward to buying the other faction decks as well. Trust me, this is one purchase you won’t regret. The biggest impact of the set has probably got to be the Clan specific Sensei. These Sensei are supposed to create a global effect, representing a major teaching that is associated with your clan. For example, the Crab’s resilience is reflected in their sensei. He makes it more costly for your opponents to target your personalities, by forcing them to discard a card during the first time one of your personalities at his location is targeted by your opponent. Crane and Dragon both employ dueling tactics, albeit in different ways. Mantis represents the hit-and-run tactics of their archers. Lion and Unicorn for their military mastery. Phoenix for their spells. Scorpion and Spider get a little iffy, with Spider edging out the Scorpion sensei (he contributes to your dynasty speed). Though the cards in the set are impressive, the clan imbalance leaves more to be desired. But understandably, balancing nine clans is much more difficult than five colors. I wouldn’t recommend buying boxes off the shelves. Instead, take the time to look over the set (using the Oracle of the Void) and purchase what you need from players and online stores. Ingredients will run out as soon as the first turn ends. Before you even flip the first customer card, start allocating your dice to where you would most likely put them, this will save you tons of time when deciding your preparation dice. 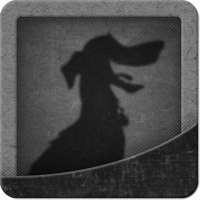 Happy to see that the Doomtown Expansions are on the site. The dice certainly look amazing!